Writing a coherent essay cannot be assumed as something primitive and easy. Every paper needs to be written according to the main rules of writing an essay, following solid and unchangeable structure of an essay. However, there are some prominently useful tips to write a powerful and strong essay to support one’s ideas. The structure of an essay can provide a good basis for supporting the ideas. Hence, a conclusion being one of the prominent and the most significant parts of an essay needs to be powerful, to sum up, all of the most important ideas mentioned in the text. There are situations when a student has no time for writing an essay despite having all the necessary skills. 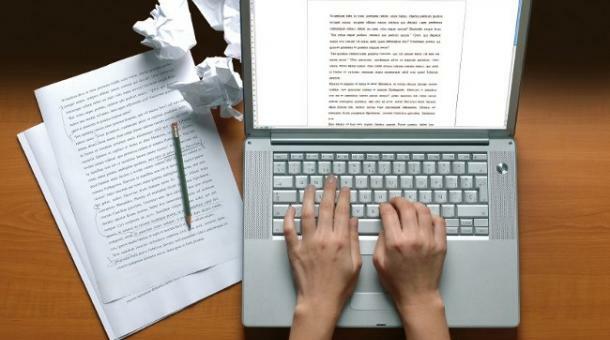 In the cases, custom essay writing services can be helpful. You pay money and writers will create a unique essay for you. Using web resource, a student can learn to write an appropriate essay using papers from the Internet as an example. It seems that there is nothing difficult about summing up everything said above, but, in point of fact, this very matter makes a difficulty. How is it possible not to repeat the information given in your essay and at the very same time not to write something off-topic? Reread your essay, underline key ideas in every paragraph, and try to rewrite them in other and more general words. Make some parallel with the introduction content creating a frame for your essay in such a way. Concerning the last sentence of your essay, you can affirm the first statement referring to the given proves, ask a rhetorical question the answer to which can be found in your essay, express your hope, wish, etc. It is quite difficult to write the one if it is your exam essay and you are not allowed to use anything apart from your mind. For this kind of thing, prepare a list of quotes that would be appropriate for a wide range of topics. You should bear this list in your mind. There are many quotes that can be multi-purpose ones. For example, the saying “We never know the value of water until the well is dry” can be appropriate in essays about limited resources that start being appreciated only after they are lost. And people very often do the things like that, so, the quotation can be used in essays about natural resources, human relationships, lost opportunities, even about the very human’s life. However, a writer should be cautious, as not every quotation can be appropriate. Let us imagine such a situation: you are assigned with the essay on the importance of education, and you finish it with the words of Bernard Shaw “He who can, does. He who cannot, teaches”. You write them without any bad intent but remember that your reader is a teacher that is a person who teaches, and these words are directed at him or her. How do you think he likes them? One of the most popular ways. It is very similar to the way № 1. Explain how significant the obtained results are, emphasize their importance and call your readers for some action: Let us be eco-friendly! Let us keep our traditions like the apple of our eye! Let us help those in need! Let us remember that , Let us stop, etc. A student always should not forget about a teacher. He or she is a recipient of all of these calls, so do not write things like “Do not be so cruel,” “Do not humiliate others.” It can seem that your teacher used to be cruel and humiliate someone, even if you do not mean anything of this kind. Avoid sticking points. This type is a little bit different from others. Here you can emphasize which your results are new comparing to other essays on the same topic; you can affirm that this sphere needs more exploration and make a hint of continuation of your research. You should say that those aims given in the introduction have been achieved. If you write in the introduction something like: “The aim is to highlight the problem of…”, the conclusion can contain such a sentence: “The problem of … has been studied and the results say that…”. State it clear that you have achieved the expected results. Then you write everything concerning the very topic. In this case, you describe the problem, its possible causes and reasons, suggest some ways out, etc. Conclusion: “Mi has already been sleeping on my laps for two hours, and I happily recall that day when we bought her from her previous “owners” who beat her for eating “too much.” And I do not want to imagine what could happen otherwise”. This is actually a very powerful way to finish your paper. In brief, I would like to say that conclusion is very important for a college essay. It should leave a trail in the mind of your reader. Remember, the last impression can be not less important than the first one, so the end should be connected with the beginning. In fact, it is quite a strange thing to talk about the beginning while finishing your article.